(London Post) An extraordinary congress of world soccer’s governing body has elected Infantino as its new president. Infantino has pledged to implement a package of reforms meant to lead FIFA out of the worst crisis in its history. Delegates from 207 national football associations voted on Friday to elect UEFA General Secretary Gianni Infantino as the man to take FIFA forward. The 45-year-old Swiss-Italian won the election with a simple majority of 115 votes in the second round, at the end of a long day at Zurich’s Hallenstadion. Neither he nor the perceived front-runner, Sheikh Salman bin Ibrahim al-Khalifa of Bahrain, was able to muster the two-thirds majority needed to win in the first round, having taken 88 and 85 votes, respectively. Infantino’s lobbying after the first round obviously worked, as he picked up a total of 27 votes to put him over the top. Sheikh Salman only picked up three votes in the second round of voting. It’s not clear whether delegates had second thoughts about supporting Salman due to allegations of human rights abuses in connection with a violent crackdown on pro-democracy protests in Bahrain in 2011. He has denied the allegations. 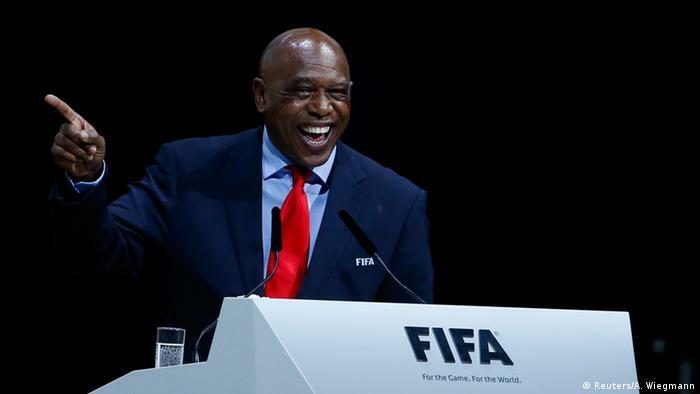 Known best until recently as the man who runs the Champions League draws, Infantino replaces Issa Hayatou of Cameroon, who stepped in as interim president after longtime FIFA boss Sepp Blatter was banned as part of a corruption scandal last autumn. Although the voting only went two rounds, with only two ballot boxes being used, the whole process took several hours to complete. The first round of voting went much as had been expected, although before it started, most pundits had put Sheikh Salman slightly ahead of Infantino. As expected, neither of the other two candidates, Frenchman Jerome Champagne and Jordanian Prince Ali bin-Hussein, stood a chance. Champagne saw his seven first-round votes melt away to none in the second round, while Prince Ali dropped from 27 to four. The fifth candidate, Tokyo Sexwale of South Africa, livened up what was a largely dry affair with a stirring and often funny pre-election speech – before announcing that he was dropping out before the first ballot. Now that Infantino has been elected, his main job will be to lead the implementation of a package of reforms that were passed by a vote of 179-22 earlier on Friday. The reforms, which had been presented to the delegates earlier, include limits of three four-year terms for FIFA presidents and other senior officials. The powerful Executive Committee, which seems to have been a magnet for corruption, is to be replaced by an Executive Council that will operate in a similar way to a corporate board of directors. The role that Infantino takes on as president has also been curbed. He will provide strategic leadership but have less management authority than Blatter enjoyed. Under the new system, the secretary general is to be FIFA’s effective CEO, with the general secretariat that he heads to be in charge of day-to-day operations. The reforms also call for more women to take on leadership roles, including a provision that requires each confederation elect at least one female representative to the Executive Council. Also among the reforms are several measures meant to improve financial transparency at soccer’s world governing body.